We offer maintenance on all our installed air flow dampers whatever their age. We can offer both factory maintenance on units that have been taken out as well as on site maintenance of air flow dampers in situ. Many customers find that air flow dampers are installed deep within the existing ductwork system and cannot be readily removed. In such circumstances we are happy to fabricated larger replacement components allowing for the direct replacement of larger integrated units and air hanfling systems that have air flow dampers inside them. 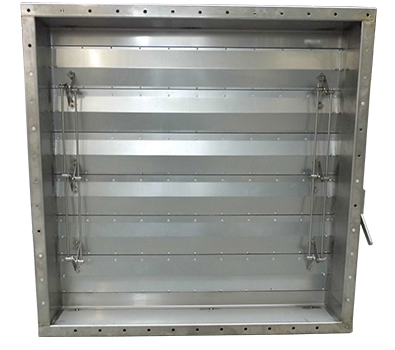 We can offer maintenance of not only our own air flow dampers but also those manufactured by other companies.